This summer, I spent ten weeks at the Central Park Conservancy as a Seasonal Monuments Conservation Technician, which is a fancy way to say that I worked to keep the sculptures and other monuments in the park looking good. 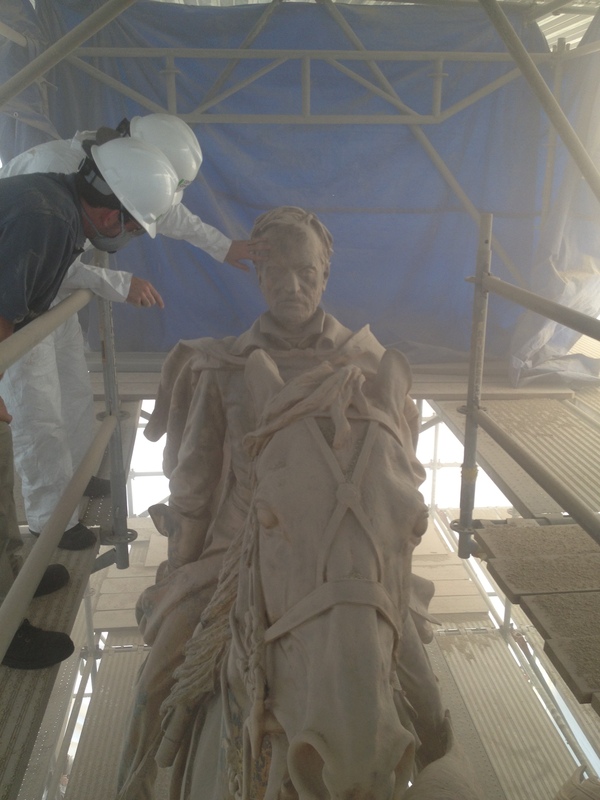 This involved work done on an as-needed basis, such as graffiti removal, as well as regular maintenance work, such as the cleaning and waxing of bronze sculptures, and some special long-term projects. My effort at graffiti removal, in-progress. 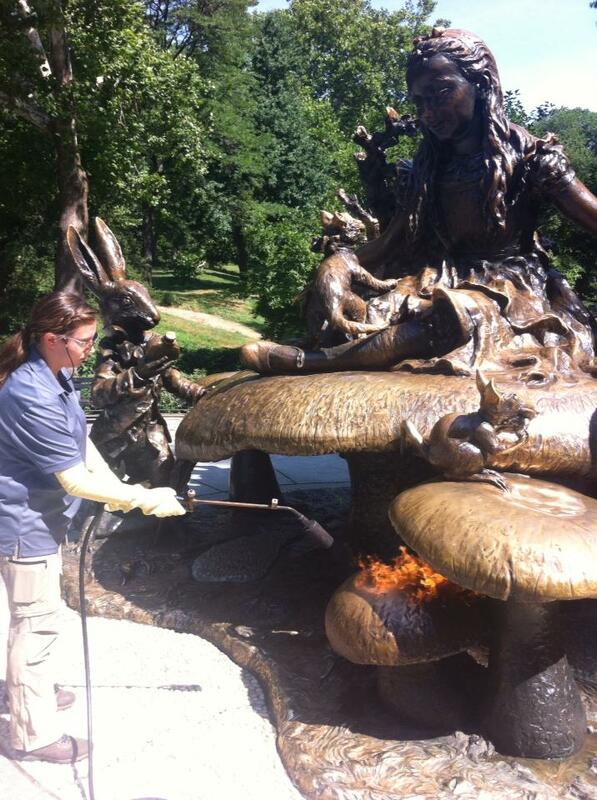 Blowtorching “Alice in Wonderland” for a hot wax treatment. A regular day involved waking up sometime around 5:45 am (luckily we got free coffee at the boathouse! ), making my way to the Ramble Shed, and packing up the truck for a day out in the field. Most commonly, we would wash stone and bronze sculptures, and wax the bronzes. However, we were also involved in two major conservation projects in the park: the cleaning and consolidation of Cleopatra’s Needle, and the restoration of the General Sherman statue at Grand Army Plaza. For the work on the obelisk, we were able to observe discussions on the best techniques and practices to be used on the 3,750 year old Egyptian monument. At Grand Army Plaza, we worked on the repointing of the granite base and observed the removal of the present coating in preparation for its regilding. 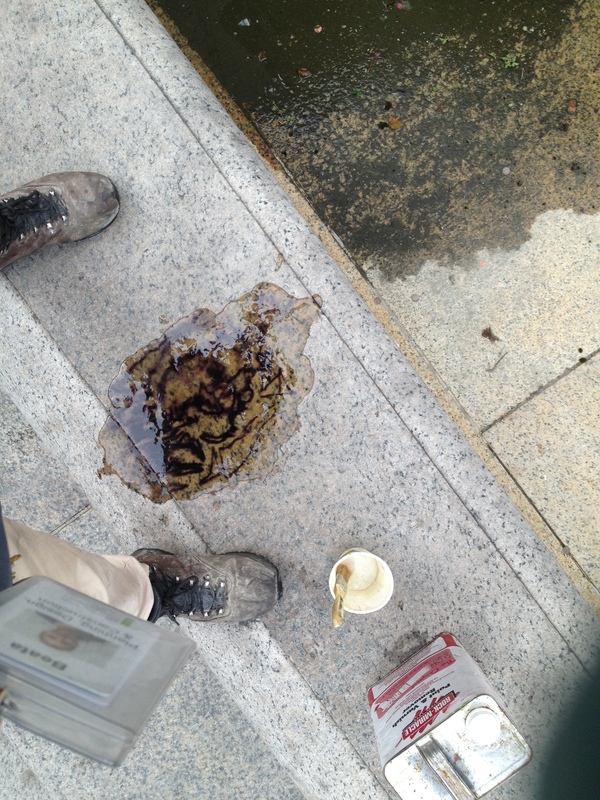 And I helped save a New York Times videographer’s camera from inside the backside of a bronze horse. Victories all around. On top of the special projects, we were also lucky enough to go on a couple of field trips during our time here. 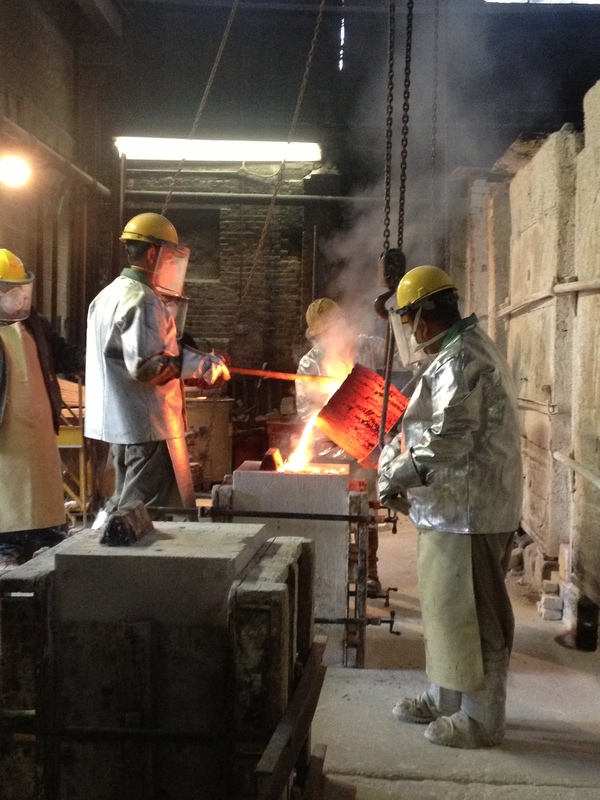 One was to the Modern Art Foundry, where we saw the processes of mold making and casting, and even got to watch a bronze pour. The second trip was to Kykuit (Dutch for “overlook”), the expansive estate of the Rockefellers, where we were given a private tour by the curator and conservator. Overall, this summer internship was a wonderful experience. 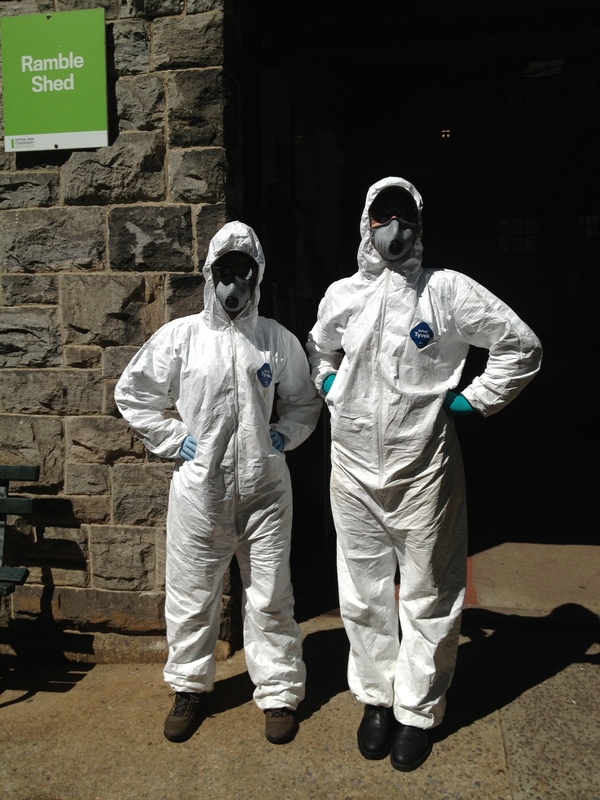 I was able to learn many valuable conservation skills and see Central Park from a vantage point few ever see.